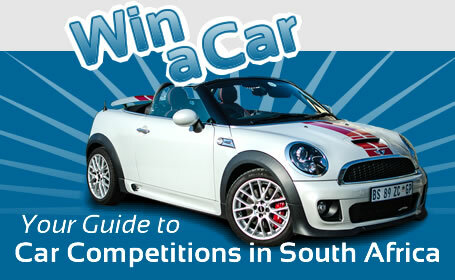 Below is a list of a few known car competitions available in South Africa. While this isn’t a comprehensive list, we do try to keep it up to date. We also avoid adding any competitions that look suspect or that come from penny auction type websites because they aren’t true car competitions. Having said this, we do not vouch for the authenticity of these competitions, nor do we endorse them in any way, other than providing the details as we find them. If you know of a current car competition and would like to see it added to our list below, then please feel free to contact us with the details. and if it looks legitimate, we might add it. We add competitions at will and entirely at our discretion. Please note that not all of these competitions can be entered online, some may require proof of purchase, that you take a survey or buy a ticket to a raffle. We hope you find this list useful, and if you are not lucky enough to win a car, you can always buy one !